Any type of denim clothing is a wardrobe staple. These never go out of style and will probably continue to be one of the cutest things to wear daily. They’re perfect for warm weather especially now that we’re almost approaching spring/summer. Layering can be quite difficult because anything layered could make you feel hot and stuffy. While some people can instantly throw these babies over anything, some have problems on how to style them. 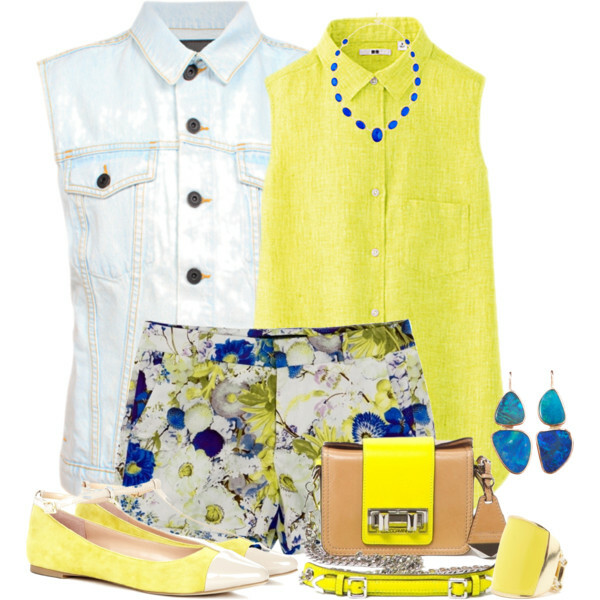 These denim vests will help make your outfit look more interesting. Hide your denim jacket now that autumn and winter is over. Say hello to your denim vest. Just like the jacket, you can wear this with just about anything. 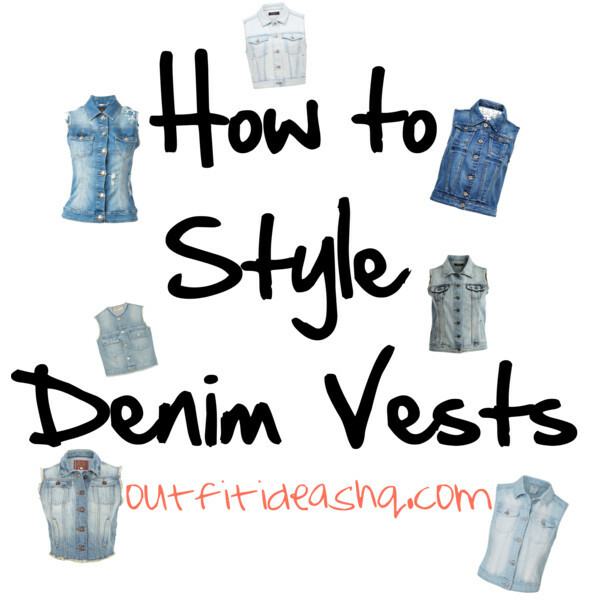 Want to know the best ways to style your vest? We have 10 tips on how to wear them. A classic jean vest is tailored but isn’t too tight when you button it up. You might want to own a classic wash with a cropped length. This will look fresh and cute with eye-catching colored pants or printed shorts. To complete your spring or summer look, add the perfect accessories like a hat. You can ever wear it alone as your top with a black maxi skirt, sandals and a scarf (which can double up as your head scarf as well). Layer it with a crop top or bandeau with high-waisted pants or shorts. A pretty patterned maxi is the epitome of easy summer/springtime dressing. Go for a skirt that has a pretty laidback detail. Jeans and plain tee = sometimes, the look can be pretty boring. Why don’t you spice it up a bit by adding a printed scarf and a jean vest? For a super casual daytime look, wear a tight printed/abstract skirt with your plain white tee and vest. Instant easy upgrade. You can ever wear it with wide-leg pants with crop top. It’s a balance look by showing just the right amount of skin. Denim on denim? It’s possible. Just make sure to wear two different shades of denim. 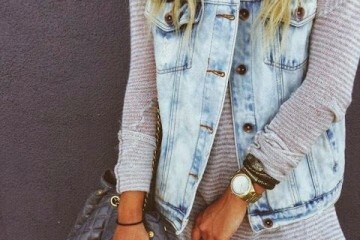 Denim vest and black dress is such a cool look. Try it out yourself. 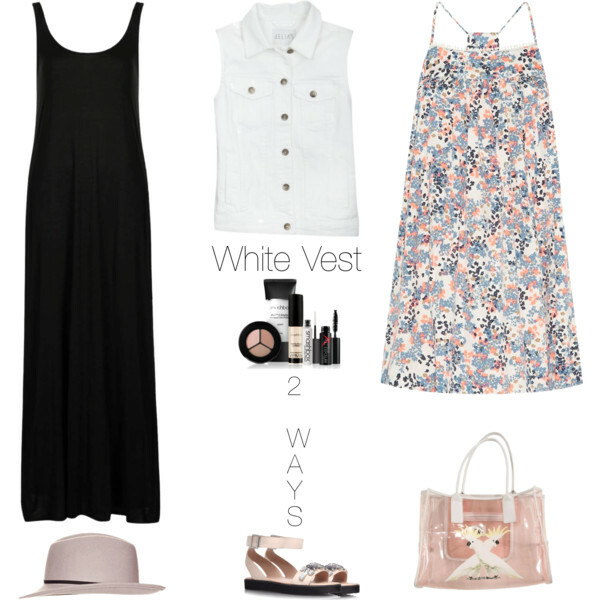 Also, you can easily wear a white denim vest with your floral dresses. 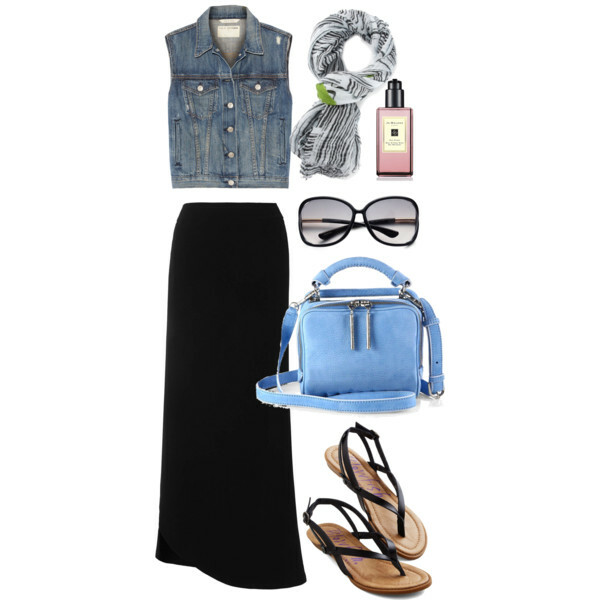 Or you could even wear your vest with an all-black look paired with sandals. Also, you could never go wrong with a striped dress with jean vest. It’s the ultimate American look. If you want a little glam, just wear your outfit with a statement necklace and you’re good to go.